In January dumbed the old software I was using to track my mileage, races, etc... in favor of a new product called Runner's Studio. It was not an easy switch to make as I am not a creature of change. I had previously used Runner's Log for Windows ("RLW"), which also had a Palm OS component. RLW is a good product, very simple to use, and quite inexpensive ($10.00). Unfortunately, RLW has not been updated since sometime in August of 2003, still has a few minor bugs, and, I no longer have a Palm Pilot, limiting my use to the windows version. The weekly start date in the program was set to Sunday and was not customizable (as we all know, runners typically keep track of weekly stats on a Monday to Sunday basis, not a Sunday to Saturday basis). - fixed within 2 weeks of my comments to the designer (now fully customizable). The types of races were not customizable (no 50k, 60k, 50 mile, 100 mile, etc... option), which also led to personal bests being lumped into one category. - fixed within 2 weeks of my comments to the designer. Running Log - Filter, sort, and quickly analyze your training runs. Personal Bests - Automatically tracks personal bests for training and races. Statistics - View lifetime stats or analyze run performance by week, month, or year. Graphs - Numerous graph options (distance, pace, time ran, heart rate, etc.). Mega Goals - So you have run 200 miles, 500 miles, or even 1000 miles? How far is that exactly? Setup a mega goal to put that distance into perspective... and have fun doing so! Plot your distance ran along several predefined routes through the United States, Australia, Canada, and Europe. Complete Racing History - Have your entire race history tracked automatically. Upcoming Races - Runner's Studio will count down the days for you! Customizable Training Planner - Create and plan training workouts in seconds. Run Journal - Log your thoughts and experiences for your training runs and races. Share Workouts - with your friends via graphical email. Track Shoe Wear - Records notes and rate your running shoes for future use. A full list of features can be viewed by clicking HERE. There are a few negatives. In relation to the prior software I was using, Runner's Studio comes with a slightly higher price tag ($34.99). The program only allows you to track "running" workouts, and does not give the user the ability to log other types of workouts, such as biking, swimming, weight training, etc. However, I wouldn't be surprised if that feature surfaced in a future update of the product. Also, there is no "export" feature so that you can export your data to another running software program. As far as positives : The program is easy to use and navigate. 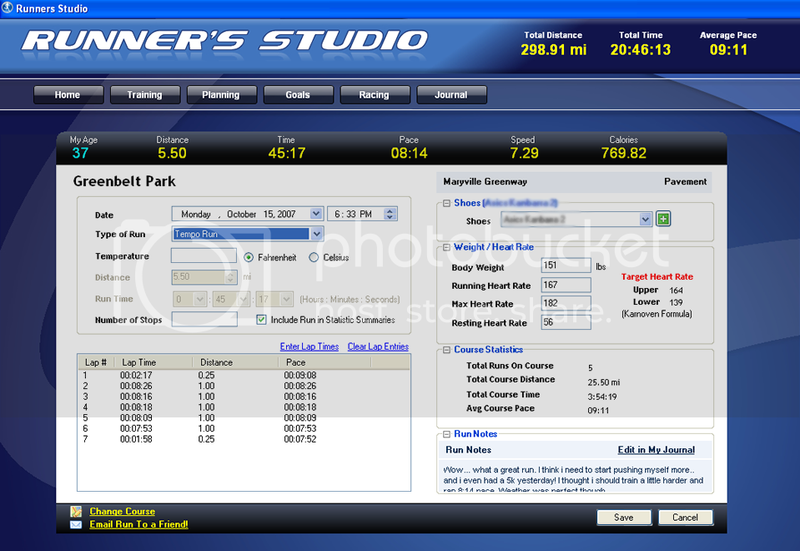 Your data from a prior program can be imported into Runner's Studio. The program designer is very excited about the product, and really takes user feedback seriously. Runner's Studio has already received several awards and is highly rated at various websites (see full list HERE). It is also very easy to back-up your data. Ok, so, I've been using this product for about 3 months now and love it. I am particularly impressed with the designer's willingness to accept feedback and use it to improve the program. I have always received a quick response to any e-mail that I've sent. As there is a fully functional "trail" version of Runner's Studio, I would certainly recommend giving it a whirl. 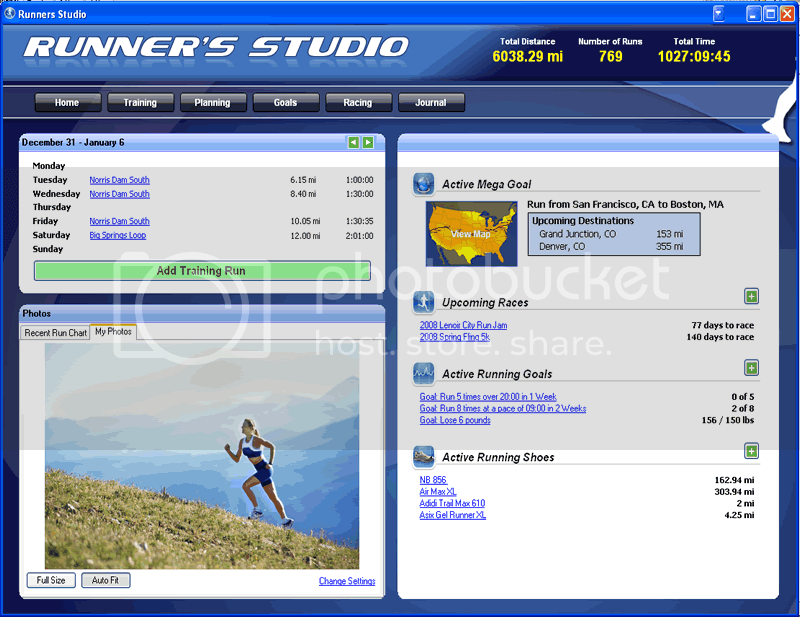 There are a bunch of screen shots that you can find on the Runner's Studio web-site, but below are two (Dashboard and Training Run Entry Screen). Interesting...so the fact that I record my mileage and run details with pen on paper pretty much marks me as a tech-dino, doesn't it? That software looks pretty cool. The ability to track workout PRs is interesting since I have to scan my 4 year old Excel spreadsheet any time I want to do the same. I finally went directly to your site (vs Bloglines where I normally read your posts) and saw your mileage for the year. How you can run a 100 mile event on basically the same mileage I run is astounding. I'm not sure I would survive past 20! Anthony, is that your back up method? pen and paper, lol. Life became so much easier and relaxed when i stopped counting miles ;) It was just one more thing in life that i could obsess about. I do not need more things to obsess about! Meri - You stopped counting miles b/c your run more miles then there are numbers to count ! I like to keep track of mine for several reasons, including being able to see my progress (or lack thereof). 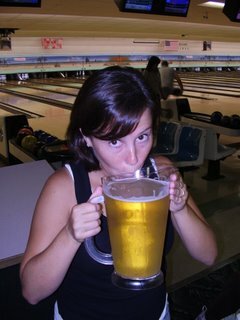 It helps me to determine where I went wrong in my training. Also, there are times where I've been injured and the Doc has asked about my running milage...I just pull out the sheet. I did like to see the four years i did log my runs how i progressed from year to year from marathon training to ultras. Pretty neat. great write -up -what I like about the runner's studio is that it keeps track of the numbers for you -it is cool that you are keeping track of your yearly miles. I keep a standard running log -have since 1983-I am with meredith in that I just run for time during the week (roughly count 10 min as a mile), but do record race times,long runs and miles per week-the pen and paper system works for me (as I do make lots of notes about how i felt during a race)but wouldn't mind a change! Being able to pull out a sheet to see where you have overtrained, etc is valuable. www.runningahead.com has pretty much all of those same features... and its FREE FREE FREE! Thanks SJ. Runningahead.com is a nice platform. It is, however, only web-based, right ? That software looks cool. I like data.